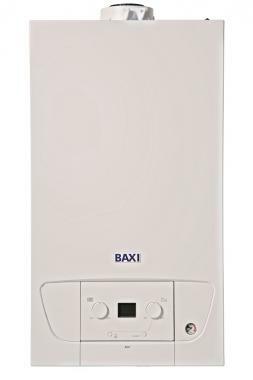 The Baxi 415 regular gas boiler is both condensing and wall mounted. Being designed and manufactured by Baxi, it is one of the newest boilers in Baxi’s heat only boilers. This unit is a compact boiler which is able to fit in a standard sized cupboard very easily helping to save you that much needed space. With this unit also being a lightweight boiler it should save you money on installation. The 415 Heat has an efficiency rating of 89.2% making it B rated. This unit comes with an output rating of 15kW making it perfect for smaller homes or flats where space may be limited and where there is not a high demand for hot water. This boiler comes with an easy to fit, wall mounting bracket as well as a wide range of flue lengths, bends and accessories - so very versatile and topped off with a rock solid 5 year guarantee.